CONCERT PROCEEDS BENEFIT HILLSIDE EQUESTRIAN MEADOWSAUGUST 21, 2014 (Wolcott, CT) - Tickets for the October 10 "Shane Michael Taylor's Hometown Salute" go on sale this Saturday, August 23 at 10 a.m. EST via Showclix. Discounted ticket bundles are available. Shane Michael Taylor's Hometown Salute is a benefit concert and preview of Taylor's forthcoming debut country album, I Will Stand. The event features vocalist Rachel Ingrassia and a writers' round with hit songwriters Craig Bickhardt ("In Between Dances," "It Must Be Love"),Don Henry ("All Kinds of Kinds"), and Buddy Mondlock ("Every Now and Then"). Proceeds benefit Hillside Equestrian Meadows, where the event will be held. "Hillside Equestrian Meadows is the place where country music first struck a chord deep within me, as a 12-year-old riding a horse named Brandon," Taylor said. "The fact that I get to return some 20 years later and put on a show as a country artist humbles me beyond words. "Bucky, the owner of the farm, is an amazing guy. I give him most of the credit for me being where I am today, because he taught me I could do anything I set my mind to…showing me that even a clumsy, scrawny kid with severe cerebral palsy can indeed ride a horse." 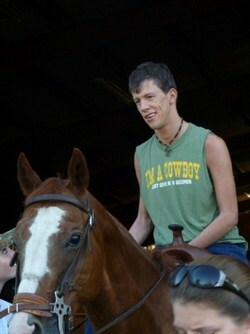 Born with cerebral palsy, Taylor has always believed in his capability to achieve his dream of becoming a country artist. A native of Waterbury, Connecticut, Taylor recalls, "I can't remember a time when there wasn't music coming out of our radio. Our local AM station would play a variety of stuff, from The Beatles, Elvis and The Eagles to John Denver and Stevie Wonder to Whitney Houston and Billy Joel." As Taylor became increasingly infatuated with songwriting, he began to seek feedback from prominent Nashville songwriters. I Will Stand, Taylor's debut album, will be released in spring 2015. To introduce himself as an artist, Taylor wrote an audio book, Living This Rodeo: A Journey From Fantasy to Reality, detailing his musical journey, which he also discusses in his lectures and keynote addresses.